Our signature skin rejuvenation treatment is a painless, non-invasive treatment that provides an effective way to correct and treat skin damage without disruption of the skin’s surface. Each treatment is personally tailored to your skin on the day of treatment. Pigmentation, thread veins and skin tone can be specifically targeted whilst treating all of your face. Stimulating collagen and elastin this treatment produces firmer, smoother, younger and healthier looking skin on the face, neck, chest and hands. It is an effective way to fight the signs of ageing without having any downtime. 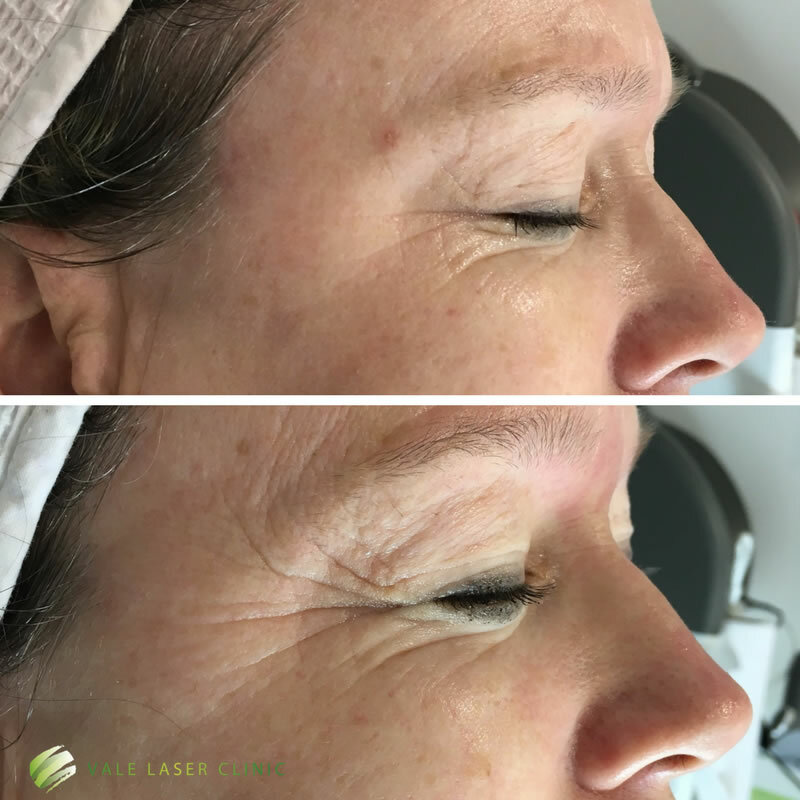 Laser red vein removal can provide a long-term solution to facial problems, such as red flushing (rosacea), thread veins and red spots as well as red leg veins; with minimal downtime or risk, in just a few quick and easy treatments. Most facial red skin lesions including facial thread veins, rosacea, spider naevi, port wine stains are treated with Intense Pulsed Light. These broken veins and capillaries are found in men and women mainly on the face, which are caused either by age, trauma, sun exposure or alcohol. The Intense Pulse Light is absorbed by the haemoglobin in the blood heating them to the point where they are destroyed. Following treatment, the vessels quickly clear as they are reabsorbed by the body, leaving little or no trace of the original lesion. Pigmented lesions such as sun spots, age spots, liver spots and port wine stains can be successfully removed creating a more flawless, youthful and glowing appearance. Caused by overexposure to the sun, UV light has damaged the skin cells function to produce abnormal levels of melanin. Intense Pulse Light is absolved by the melanin causing it to coagulate, your bodies natural healing process exfoliates it after a few days leaving brighter, more radiant looking skin. Using the heat energy from the IPL your fiblast cell is heated to stimulate collagen and elastin production. This is the key to younger, fresher, smoother skin. The skin uses its natural healing process to filter out pigmentation, redness to even out the skin tone, treat enlarged pores and acne scarring. IPL (Intense Pulse Light) technology is based on the same principle as laser but emits a broad spectrum of pulsed light to reach several layers of the skin simultaneously, improving the texture, quality, colour and health of your skin. The heat energy is attracted to the excessive pigmentation and haemoglobin in the dermal layers of your skin, these coagulate with the heat and your body exfoliates these cells with the skins natural renewal process. The heat energy also stimulates the fibroplast cells beneath the skin’s surface to promote new collagen production, firming and rejuvenating the skin. After a series of IPL treatments at intervals spaced usually 4 weeks apart, the skin will appear more luminous, brighter and smoother. Improvements can be seen 10 days following the first treatment and enhanced results can be seen with each subsequent treatment. 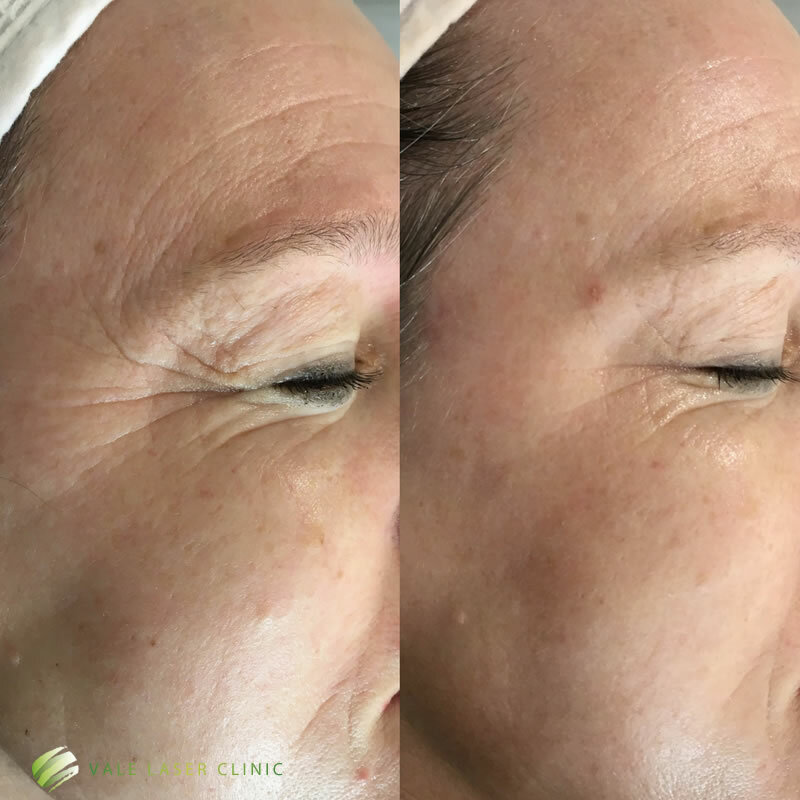 The results continue to improve long after the treatment, as IPL stimulates your own natural collagen to rebuild and rejuvenate the skin. An example of a customer where we decreased fine lines and wrinkles, tightening and smoothing the skin. The laser/IPL fires short pulses of light which can feel warm against the skin surface. We use a powerful cooler to lower the skin surface temperature ensuring that most of our clients experience no more than mild discomfort. After an initial consultation and at your discretion we will require you to do a test patch on the area to be treated, this is to check that the laser and your body will react in a positive way to the treatment – this will need to be carried out at least one week before the treatment starts. As long as there’s no adverse reaction after the test patch, then the skin rejuvenation treatment can continue. The intensive light may cause slight swelling and redness in the treated area, especially in areas where the skin is very thin or especially fragile. However, any redness or soreness typically subsides within a few hours after the procedure with lots of people having treatment in their lunch hour suffering no side effects. Hot showers, hot baths and saunas are to be avoided for 24 hours. Do not use any perfumed products on the skin for 48 hours after treatment and when cleansing use a good antibacterial soap. Protect your skin from the sun for the first two weeks after treatment, then use sunblock for the following 6 weeks. Cold compresses or Aloe Vera gel will help to sooth the area, do not use ice packs direct to the skin. Vale Laser Clinic will always be in hand to discuss the healing process and offer further advice. Usually between 3-5 sessions to see the maximum benefit of skin rejuvenation although the treatment of some smaller lesions or veins my clear with just one treatment. It is important to protect your skin from direct sun exposure over the series of your treatments and it is highly recommended to use an SPF30+ sunblock. We can provide Environ’s RAD sunblock which has been specifically created for use on the face and décolleté, leaving a non-greasy feel suitable to wear under makeup. Sun beds and sunbathing are to be avoided. Photo-rejuvenation treatments can be carried out all year round as long as you are not planning to be in full sun exposure immediately following a treatment.